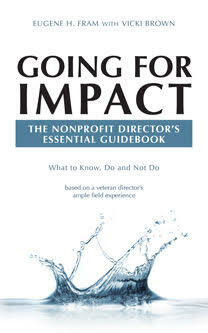 Nonprofit Alert: How Nonprofit Directors Can Acquire Independent Assurances. According to Dr. Richard Leblanc, York University Law School, “Canada’s bank regulators recommended last week that independent third party reviews of (i) of the institution’s board and committee practices; (ii) the institution’s oversight functions and processes.” He and I feel this can set the tone for non-banks and even for nonprofits in both the United States and Canada. For American nonprofits the tone is already sounding by the requirements listed in the expanded IRS 990 form. The information from this form will allow the IRS to more closely determine whether or not a board is functioning well enough to overview the nonprofit’s activities, as required by its charter. If not, its nonprofit tax status might be revoked. In the nonprofit arena, another opportunity for an organization to acquire independent assurance is when the organization is re-accredited by outside evaluators, especially those with national permission to accredit. Currently, at universities, the board receives some attention in the accrediting processes. However, if the need for this type of assurance is heightened, it may take specialized knowledge with board knowledge to review the complex issues involved with such multifaceted organizations. Now in an infant stage, the public needs for independent assurance is now on ascendancy. ← Once Again: Who Should Be Involved in Fund Development and How?